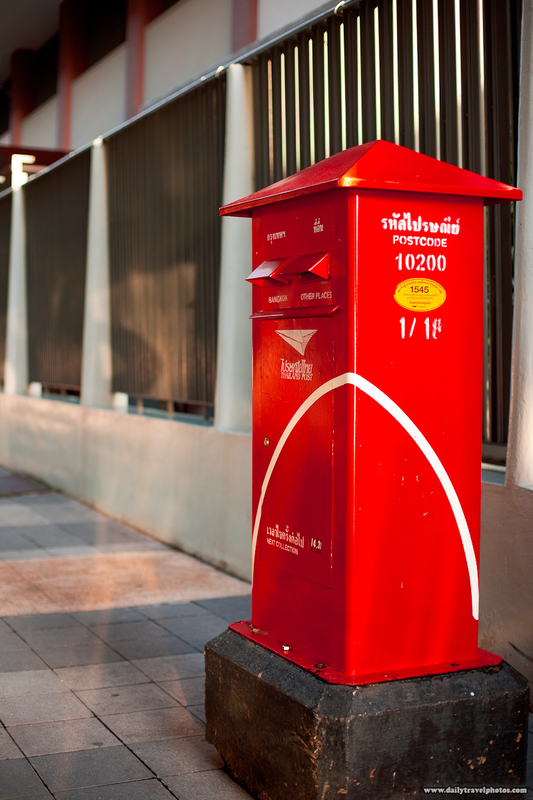 A Thailand mail box in an beautiful shade of red. I pass this mail box daily and I'm always surprised to see the "next collection" time always diligently flipped. If any of you wanted to stalk me, now you know I live in the 10200 zip code of metro Bangkok. Here's another hint... I live 100 meters from a 7-11 convenience store... LOL!